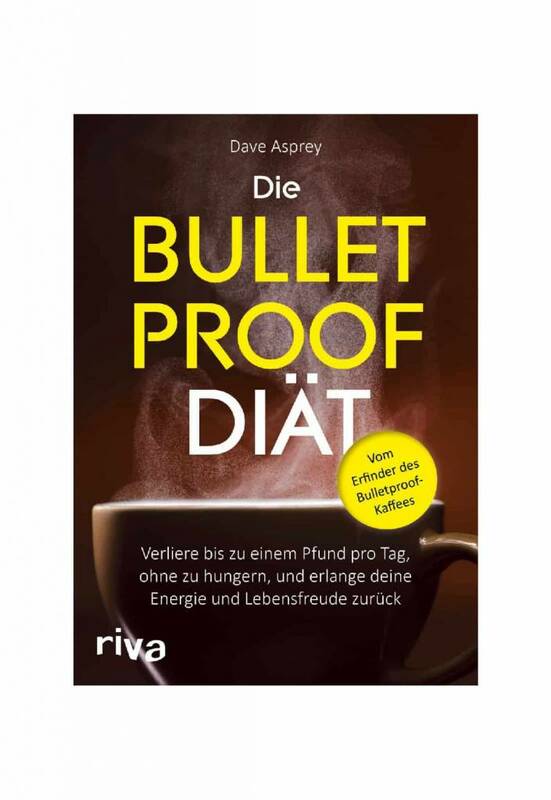 The Bulletproof Diet book was written by Dave Asprey. 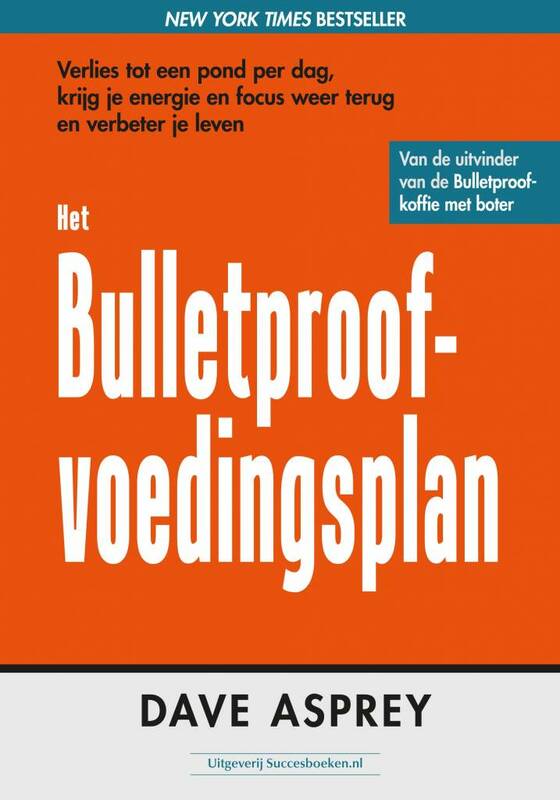 The Bulletproof Diet will challenge —and change —the way you think about weight loss and wellness. Dave Asprey, the founder of The Bulletproof Executive, is a Silicon Valley investor and technology entrepreneur who spent 15 years and over $300,000 to hack his own biology. Dave lost 100 pounds without counting calories or excessive exercise, used techniques to upgrade his brain by more than 20 IQ points, and lowered his biological age while learning to sleep more efficiently in less time. Learning to do these seemingly impossible things transformed him into a better entrepreneur, a better husband, and a better father. 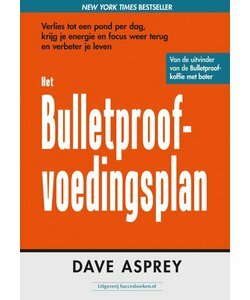 What emerged is the idea of being “Bulletproof”, the state of high performance where you take control of and improve your biochemistry, your body, and your mind so they work in unison, helping you execute at levels far beyond what you’d expect, without burning out, getting sick, or allowing stress to control your decisions. It used to take a lifetime to radically rewire the human body and mind this way, if you were lucky enough to even know it was possible. 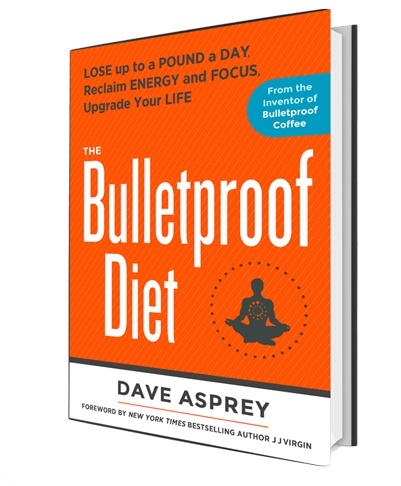 "Dave Asprey will make you question everything you thought you knew about nutrition and health. His revolutionary advice will truly make you a healthier, better-looking, smarter version of yourself--we can all be Bulletproof like Dave!" The book is written in German! New York Times bestseller, author of "The Hormone Cure"
"So cutting edge that you may draw blood, The Bulletproof diet will teach you how to avoid the toxins, enjoy more butter, and have tremendous fun as you get lean." Steven Kotler, New York Times bestseller, author "Rise of Superman" and "Abundance" and director of research for the "Flow Genome Project." 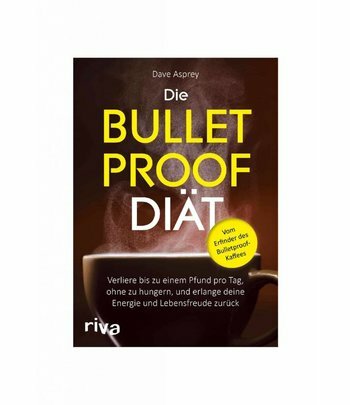 "Dave Asprey is a biohacker extraordinaire--The Bulletproof Diet will make you rethink everything you know about food." "I need a lot of sustained energy and consistency for my work and Bulletproof always delivers. All the coffee I've tried gives you that crash...except Bulletproof. It has become a way of life for me." JJ Virgin, Author of New York Times Bestseller "The Virgin Diet"
"This is a breakthrough book for anyone looking to improve their overall health and well being." Peter H. Diamandis, MD. CEO, XPRIZE Foundation, Executive Chairman, Singularity University and author, "Abundance: The Future Is Better Than You Think"
"Today we have the power to measure what works. Dave Asprey uses this new power in his quest to biohack the human body to improve how we think and how we feel. This capacity is groundbreaking and will lead to measurably improve human performance."